This year, three debating societies are celebrating their lustrums. For those unfamiliar, lustrums are five-year periods which allow a company, organization or in our case, a society to celebrate its birthdays. 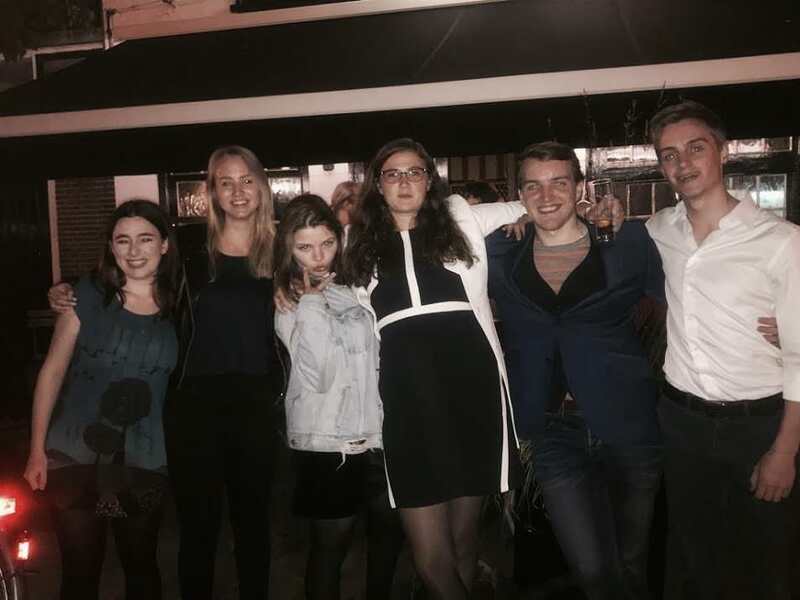 TU Delft Debating Club is celebrating its very first lustrum, Leiden Debating Union its third and as the oldest society of the Netherlands, Erasmus Debating Society is very excited to celebrate its sixth. Naturally, such big celebrations call for huge parties, from dinners, to galas, to lectures, to party weekends; societies are determined to celebrate in style. Delft’s founding occurred on November 13, 2013 and it was on this date this year that the group got together at Wijnhaven. Wijnhaven holds a special place in the heart of the society, as it is there they head out for drinks every Thursday. Other plans include celebrating with other societies in a more formal manner, including a black-tie party since, as society’s president Cian Jansen says, “debating is best when there’s other societies involved.” The Club also has plenty of reasons to celebrate. Cian also notes that “In a couple short years, we grew from struggling to have a BP debate every week to having an amazing community of people that are present almost every week.” They are also lining up fantastic achievements at debating tournaments, from winning the Pro-Am final at Erasmus Rotterdam Open, to speaking in open finals at Roosevelt Open as well as having members CA and break at tournaments. The second society celebrating its Lustrum is Leiden. Femke de Wijs, Leiden’s internal officer, says that she is excited for the Lustrum as it gives its members an opportunity to get together to “celebrate the fact that LDU is still providing us the chance to debate.” And what fantastic plans they have for the upcoming year for both their members and other debaters. To foster a more student environment, they are organizing multiple socials over the next year which will culminate with a super-secret party-weekend in April. Last month, the group visited Delft, went to an arcade and organized a pumpkin carving contest, all of which have been a huge success. That is not to say that fun activities will not detract from debating achievements – Leiden is lining up tournament wins left, right and center. Lastly, EDS is celebrating thirty years of existence in May. Annemarijn Tamminga, the society’s president, says that it’s a big milestone and she is enthusiastic for the opportunity this brings to get together with other societies. This is also a big opportunity to also reflect on the fact that debating has been active for thirty years in the Netherlands, and look at what we have been able to do as the community. EDS has a lot of plans for its members and the debating community. They plan on organizing a dinner and a gala. Along with those, there are plans for an evening with lectures, and its members can look forward to a special edition of the society’s annual members weekend. On the personal aspects, all board members are tremendously excited to be able to share their board experience with this milestone celebration. “It’s a big responsibility” says Annemarijn, but she’s looking forward to it. Femke also shares Annemarijn’s enthusiasm, by saying that she’s looking forward to getting to experience the year with new members (who are almost all new to Leiden) and do what they all love to do: debate. Whether you are a new or an old(er) debater, I hope everyone is excited for what is to come in the upcoming months! The Lustrum is the perfect opportunity for members and non-members to get together, and celebrate the achievements of the societies.